Six years after Blair DeNatale and Robert Truitt met and fell in love over tequila shots at a barbecue, the nervous young man proposed while on a trip to San Francisco. “All I remember is Rob saying, ‘Blair you saved me, I want to spend the rest of my life with you, I love you,’” Blaire gushes. 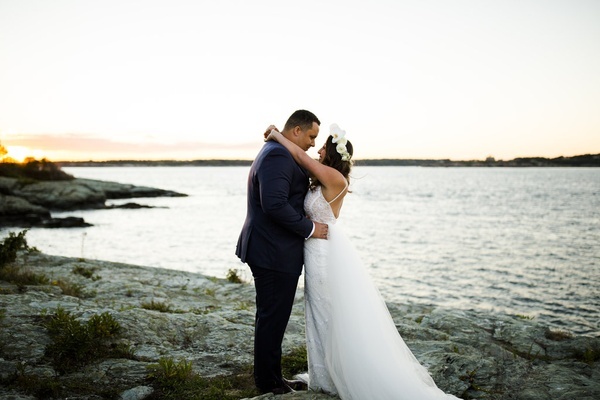 “He slipped my dream ring on my finger and we celebrated with my family at our favorite restaurant!” The New York natives began a 22-month engagement by taking wedding planning nice and slow, gathering advice from family and close friends. The words of wisdom that resonated most with Blair? “Take your time, enjoy every bit, and don’t get caught up in the nonsense,” she reveals. 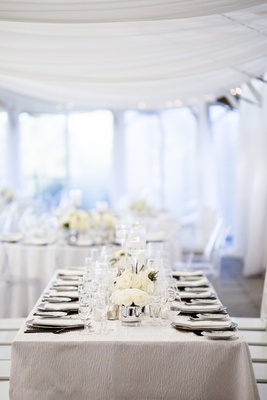 When they got the ball rolling on organizing their special day, they knew that they wanted to create an event with the proper ambience that was, perhaps, a little out of the way. 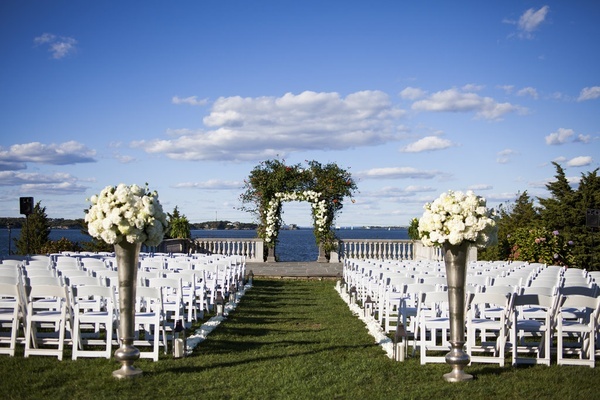 With this in mind, they selected to hold a destination vow exchange in Rhode Island. “We both love the state. 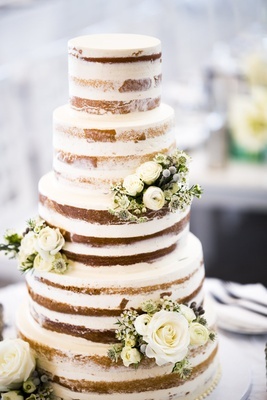 It’s so naturally beautiful and so quaint!” says the bride. 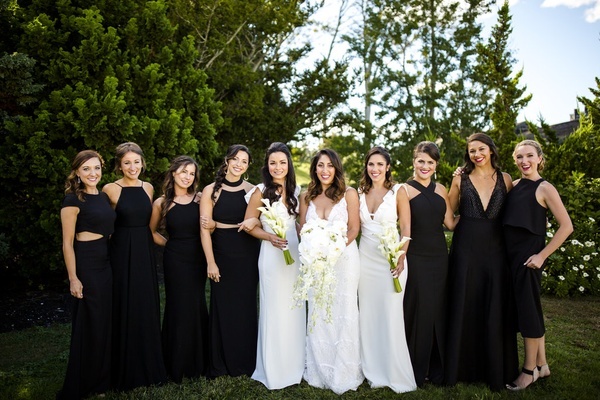 Though both Blair and Rob elected to have two loved ones each in their bridal party, the duo asked all of their closest friends to get ready with them on the morning of the “I dos.” Blair’s gal pals donned mismatched noir ensembles while her bridesmaids wore ivory. 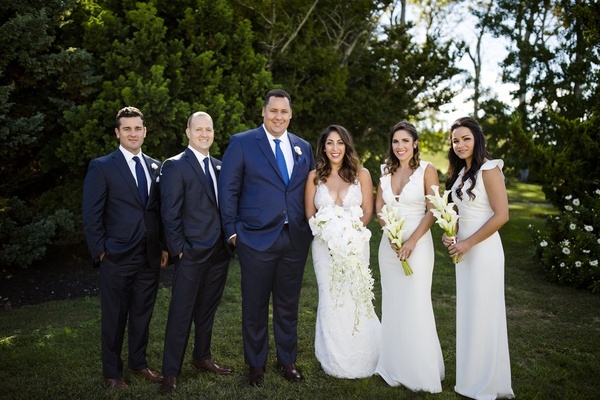 Rob and his groomsmen sported deep-hued suits, all in varying shades of navy. 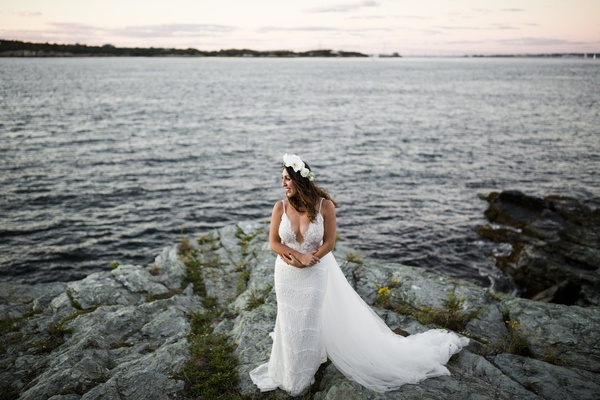 The couple's 186 guests filled the simple white chairs on the lawn of their seaside venue, all facing a stone arch bedecked in snowy blooms and lush verdure in front of the backdrop of the Atlantic Ocean. 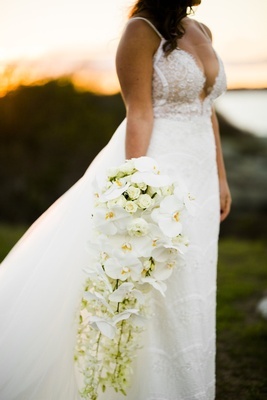 The bride floated down the aisle in a striking sheath gown with a plunging neckline and a tulle train attached to the waistline – a chic floral crown encircling her bridal ‘do. “We had our best friend marry us. She made our ceremony so personal and true to who we are,” Blair muses. “It made you laugh and cry!” In loving remembrance, both bride and groom spoke at length about Rob’s parents, who have passed on. Following the vows, guests enjoyed mingling at cocktail hour before being whisked into the tented reception space. 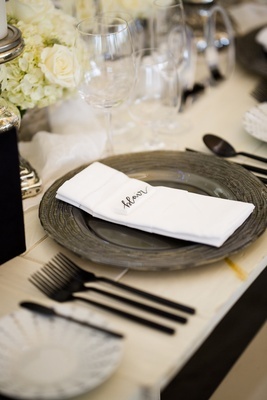 Long, white-washed farm tables sported rows of charcoal-ribbed charger plates, black silverware, and hand-painted marble pieces denoting attendees’ names. 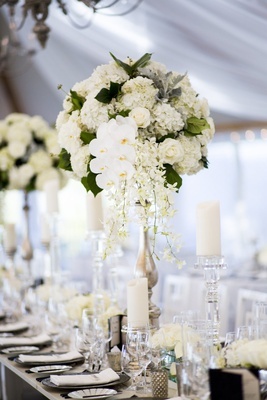 High and low floral arrangements featuring the same alabaster blossoms used in the ceremony décor and the bride’s cascading bouquet raced down each tablescape. 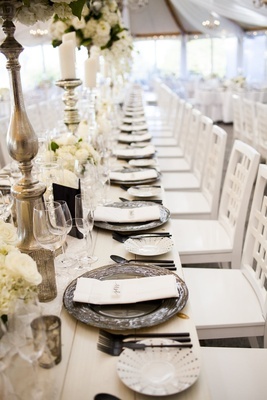 Smaller round and square tables displayed textured linens and simple, coordinating centerpieces. Everything rested underneath 10 crystal chandeliers, giving the room an extra dash of sophistication. 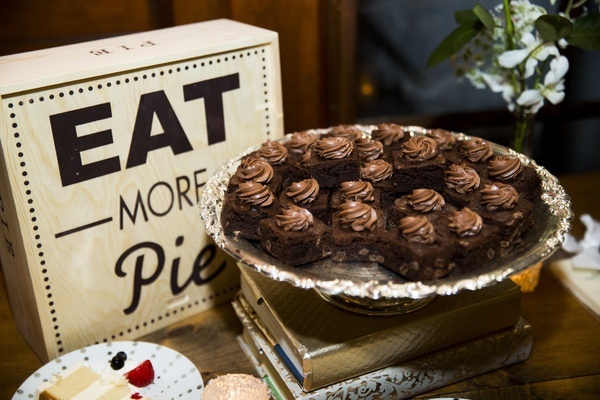 Friends and family enjoyed a delicious “farm-to-sea” meal that ended with a slice of a five-tier naked cake or a sweet treat from the dessert table.